Shaina Silver-Baird is a Toronto-based actor, singer/songwriter and budding Marketing savant. This past year she had the opportunity to work with Nightwood Theatre as their Marketing Associate, soliciting donations and promoting productions like The Penelopiad and The Lawyer Show. How does one even begin to ask for money and donations? If people don’t have the money to give, should you bother connecting with them? Why do/should people give at all? Shaina breaks down the scary myth about “the ask” and shares her Top Ten Fundraising Tips thus far. I think the most important lesson I learned while working as Marketing Associate for Nightwood Theatre was that the best way to get what you want is to ASK FOR EXACTLY WHAT YOU WANT! I know – what a novel idea! But it’s a very scary thing to do. Identify exactly what it is you want: the dollar figure; the donation item or the exchange of services, and ask for it. You actually stand a much better chance of getting it when you know specifically what you want. Most importantly, believe that what you’re raising money for is worth it. You are offering an integral artistic service. People want it. People are fascinated by it. Don’t sell yourself short or approach them as if they are doing you a favour. Talk passionately and show them you’re project is worth the investment, and they will believe you. Know the show you’re selling inside and out. Know why this project deserves funding over any other project. Ask yourself: What’s important about it? What issues is it addressing? What exactly will the funds go towards? Who is involved? (Do they add credibility?) What are the donation options? You will need to answer these questions with the utmost confidence and conviction, so know your answers before you pick up the phone or send an email. People want to feel good about their donation. Show them your passion, your conviction and your knowledge and they will have faith that they are investing in something worthwhile. We’ve all been told to consider who our market is when selling tickets to a show, but who are you targeting in your fundraising efforts? Is your audience and your fundraising pool the same market? They may not be. Therefore, be honest with yourself. Are you looking for money from friends and family, business execs or local businesses? What would entice that specific pool to donate? For example, my fundraising market when organising the silent auction for Nightwood Theatre’s The Lawyer Show 2013 was… you guessed it… lawyers! So I sought out larger ticket items to auction off that they would be interested in and could afford. This included: a wine and cheese tasting, prime Toronto Maple Leafs tickets, a Caribbean resort getaway etc. It was a very successful endeavor because the lawyers (audience and cast members) were excited about the items and the companies donating were excited about the opportunity to publicise to a market of affluent, legal professionals. However, if I was targeting other artists in their 20s, these items would be out of their realistic price range, and companies would be less inclined to donate items with such a high value. I’d try to create multiple opportunities for lots of people to donate smaller amounts such as: soliciting a higher quantity of smaller items they could realistically bid on; do a 50:50 draw; an indiegogo campaign and/or an event with a cover charge. 4. Ask yourself: What makes you different? With all the companies, artists and organisations out there asking for money, the competition can be daunting. I was lucky to be working for a company that was a registered charity, which was a huge help in pitching to prospective donors. But you can still be successful without that status. Ask yourself: what is different about my project? Who will be genuinely interested in it? For example, if your play centres around characters of a specific cultural background, sign onto that lovely tool called THE INTERNET and find every organisation, store, restaurant or community centre dedicated to that culture. Draft a donation request letter that’s engaging, professional and honest and send it to all of them. You can ask for money, silent auction donations or the opportunity to buy ad space in your program. Remember, you’re offering them the opportunity to advertise to their target market, assuming your show will draw an audience comprised of that specific cultural group. This can apply to groups with a specific subject of interest as well. Finally, remember to display postcards in every business or organisation your find that parallels your show’s subject matter. 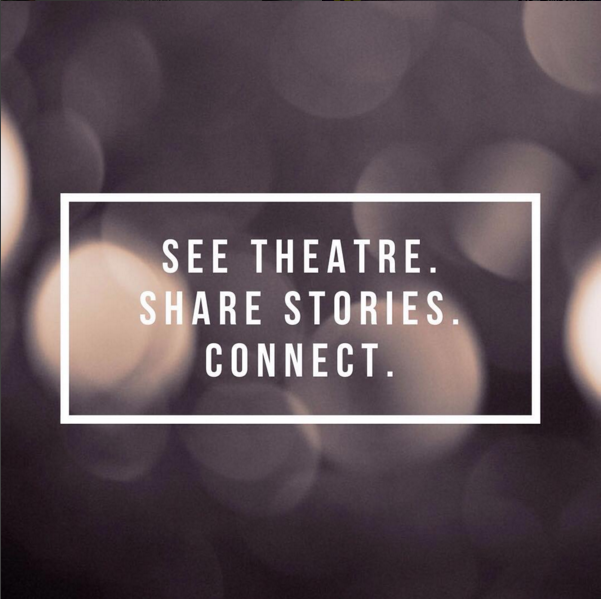 Invite the staff of these businesses and organisations to the first couple shows of your run and hopefully you’ll turn donors into audience members and word-of-mouth promoters. Keep track of every piece of information using excel spreadsheets. Literally. I’m not joking. This includes every single person you’ve contacted; when you contacted them; which channel you used to contact them; who provided you with their contact information; whether they seemed interested and why; what they donated etc. Even if you don’t get a bite from 80% of the people you contact (which you won’t), you’ll build an amazing database for the next time you do a show. And most importantly you’ll stay organised. You’ll know exactly what information you have and what you don’t. This is especially important once you start securing donations, be they cheques or auction items. You don’t want to lose track of those figures. Excel is your partner in crime! This tip follows closely on the heels of # 5! So you’re a new company. You don’t have a lot of contacts or donors. Sweet. Fake it ’til ya make it. All you need is determination and the internet. Highlight who you think will be interested in your company/show, be it businesses or individuals, and collect their contact information. Find emails online or by calling up the company, and make a list serve. And you guessed it: record it in a grand excel document. Then personally address each email when you send out your call for donations. It takes a lot of time but a) people appreciate the personal touch and b) if you’re not willing to put in the few minutes it takes to type their name and kick off with a personal sentence about why you think this donor opportunity is perfect for them… why should they donate? It may seem like a minor detail but send all your official forms and documents as pdf files, not word documents. I like to think most people wouldn’t do this, but word documents allow a second party to change the text of the document when filling it out. PDFs do not. You know more important people than you think and it’s especially easy to get in contact with them using social networking sites. However, I find that doing a mass, impersonal facebook call to action will help you get your mother and your best friend to donate, but not much more. Therefore take the time to message and post to specific people. Many will say no, but the ones who say yes may just do it because they appreciate the personalized effort. You also know many people with valuable skills. Can you approach them to auction off services or goods? Even better, can you do a trade? For example, what about approaching an emerging photographer to do your show photos in exchange for another service? What about asking your local grocer to donate snacks to your fundraiser instead of donating money? You can offer them an ad in your program in return or the opportunity to display flyers! Be creative! Businesses are very willing to donate if they think it’ll get them visibility. Therefore, stress the fact that you are getting lots of people in one place, at one time, making your show a prime marketing opportunity! The fact that your show is attracting an audience gives you power and something to offer. Use it to your advantage! It’s a trade: you get money – they get an ad where hundreds of people will see it. You get an item to auction off – they get visibility and the opportunity to get people excited about their product. Again: It’s a trade-off. You’re not begging. It’s important to set deadlines for yourself so you know exactly how long you have to raise funds. Always plan for a bit of cushion time after these deadlines, so setting them a week earlier than they actually need to be is a good idea. Everyone is busy and inundated with emails, so getting in touch with people can take a while. Start soliciting months in advance so you can follow up multiple times if people don’t get back to you. Make sure the due date for receiving donations is clear in your donation requests. Ideally, people will honour that deadline and it’ll force them to get their donations to you in a timely fashion. There will always be people who come through last minute, but a deadline will help you keep the latecomers to a minimum. I was accepting my last auction item for The Lawyer Show the day of the auction, but I would suggest avoiding this if possible – simply for your own sanity. … 11. Most importantly have fun! And good luck fundraising!